The stand up paddle boarding craze has certainly swept the nation, not to mention the rest of the world, so if you feel like it?s time to join in you might be a little unsure of where to start. Although it might look simple enough to stand up on your board and get going, there?s actually quite a bit more to it than that. 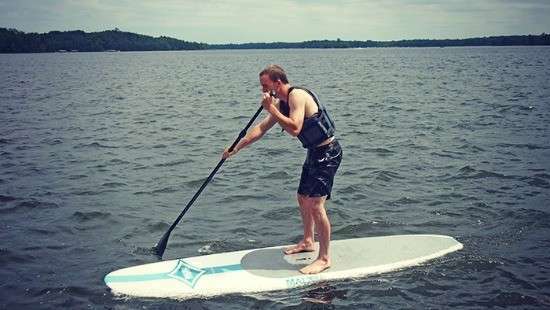 We?re here to show you the guide to SUP for beginners, so you can learn to paddleboard with the right techniques and equipment. Once you know the theory behind how to paddleboard, it?ll make it that much easier when you finally get out onto the water. Before you can get anywhere, you need to have the right board in tow. For beginners, it?s best to look for one a little wider than usual that will still give you enough of a glide. Many of the boards suitable for newbies will be marked accordingly, so keep your eye out for one of these that suits your height and weight. 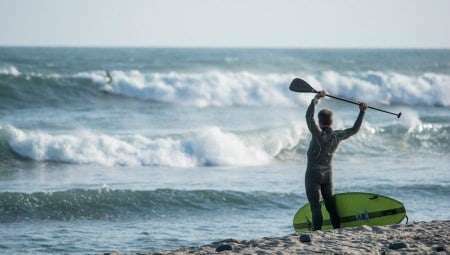 Finally, choose a board that has a leash so that it doesn?t get away from you, and ensure you have the right safety gear like a flotation vest. 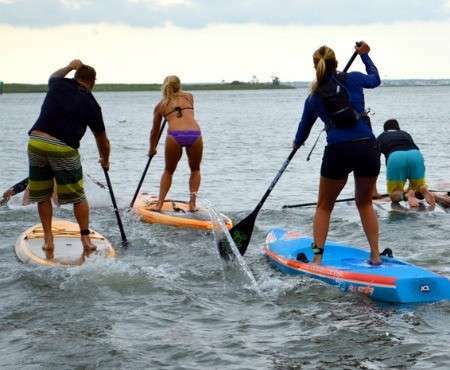 One of the beginner SUP tips you?ll learn is that there?s no one way to stand up on a board. It?s simply a matter of trying the basic moves in calm and clear water and finding one you?re most comfortable with to perform safely. Move your feet to where your knees will be when you stand, and hold onto the rails on either side. Stand up one foot at a time, slowly, and continue to correct your balance. Once you?ve mastered the standing up on our SUP technique, you can try some other common techniques. 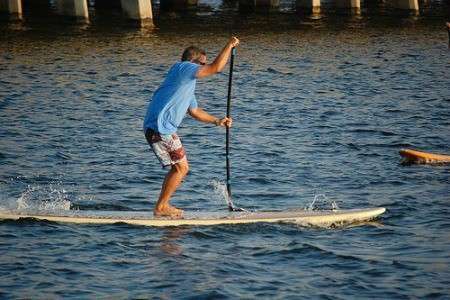 Here are a few stand up paddle boarding tricks you can work on after you?ve mastered how to stand up. The simplest way to stroke is to use power from your core and not your arms, as this will give you greater power. Hold the paddle shaft with your right hand and the grip with your left. Push down on the grip and dip the paddle into the water all the under the surface and back up to your ankle. When you?re about to fall, the best thing to do is try to fall on the side of the board and not directly on it. Always try to get your board first and then worry about collecting the paddle. The three most common way to turn is with a sidestroke, which means you must paddle on the opposite side to the way you want to turn your board. One of the easiest paddle boarding tips to remember when turning is that you?ll achieve a more effective turn when you look over your should the direction you want to go. In addition to the good advice, you need to be able to weed out the bad. 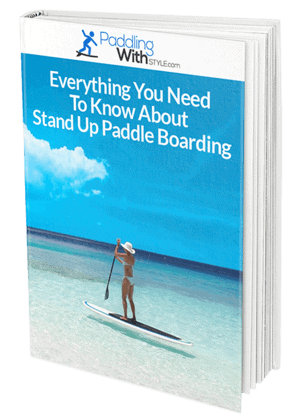 Here are a few common mistakes and misconceptions when learning SUP board instruction. Don?t look down - This might be hard to do when you?re learning, but you should always try to avoid looking down at your board. It will affect your balance and make it harder to learn, so keep your gaze at the horizon if you can. Keep an eye on the wind - The wind can be very useful for all parts of this sport, so use it to your advantage when getting on your board and paddling. Watch the horizon for balance - If you find yourself a bit wobbly, try to pick a point in the horizon and watch it. This will keep your balance and allow you to keep paddling. Stay out of the way of others - Especially when you?re out with your stand up paddle board in a crowded place, you need to be mindful of others and potential hazards, too. Use your leash - People might think it?s uncool to use a leash, but this simple accessory will mean it?s faster to retrieve your board when you fall off and can be an added safety measure as well. Most importantly, you should take your time and have fun with it. There?s no quicker way to ruin an activity for yourself than by placing too much pressure on learning it overnight, and learning how to SUP takes time.